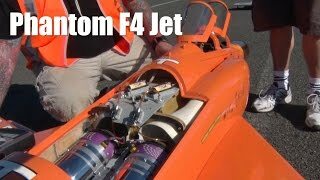 Massive Large Scale RC Jet Twin Turbine Phantom F4 flying at the Temora Jet Meeting held September 2014. This turbine airplane is amazing to see. Apologies for the sun light creating shadows.